The other day I did a double take while on a little walk in the Pearl District. Tilt just oppened a new location! They’ve been on my list for a while, but just haven’t been able to get down to their original location on Swan Island, so guess what? They came to me! Well sort, of. I don’t usully care for the Pearl District, but I seem to be spending a lot of time in that area latley… humm. 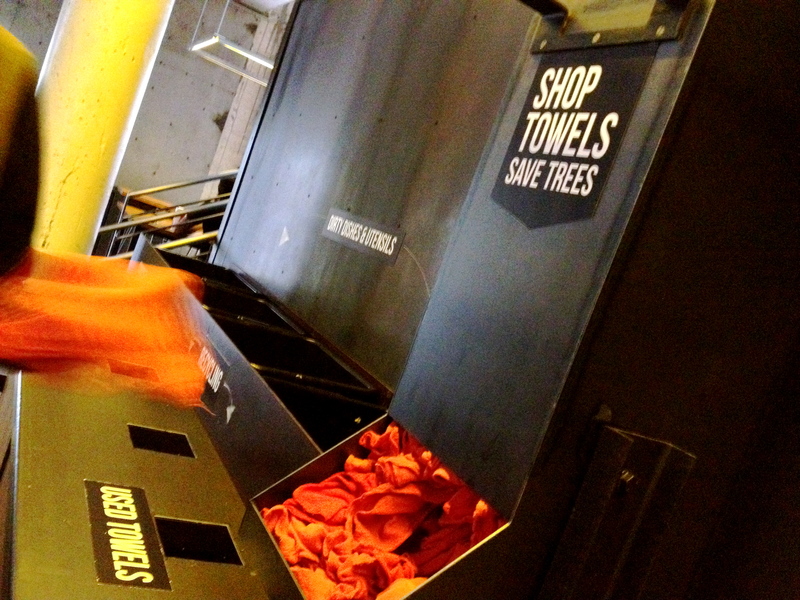 Is the Pearl District changing? Or am I? The reason Tilt has been on my radar is primarily the burgers. I’ve kind of been a burger addict lately. When it comes to “junk” food, I would much rather have a burger than pizza. Not to knock some of our amazing local pizza and burger joints, but calories are calories. 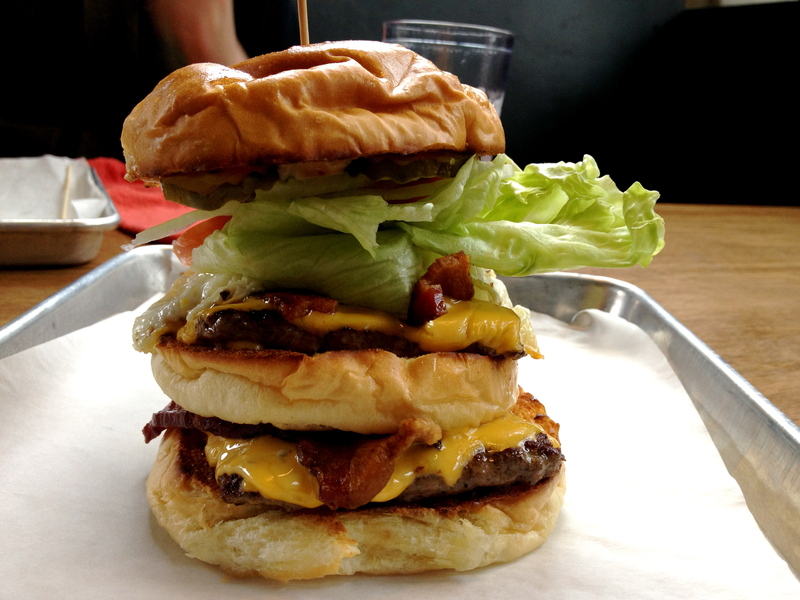 Anyway, Tilt: It has a reputtion for huge, outrageous burgers. Blue collar food they say is “build for the american work force”. But not only only do they do huge burgers, they do pie as well. And I love me some pie. 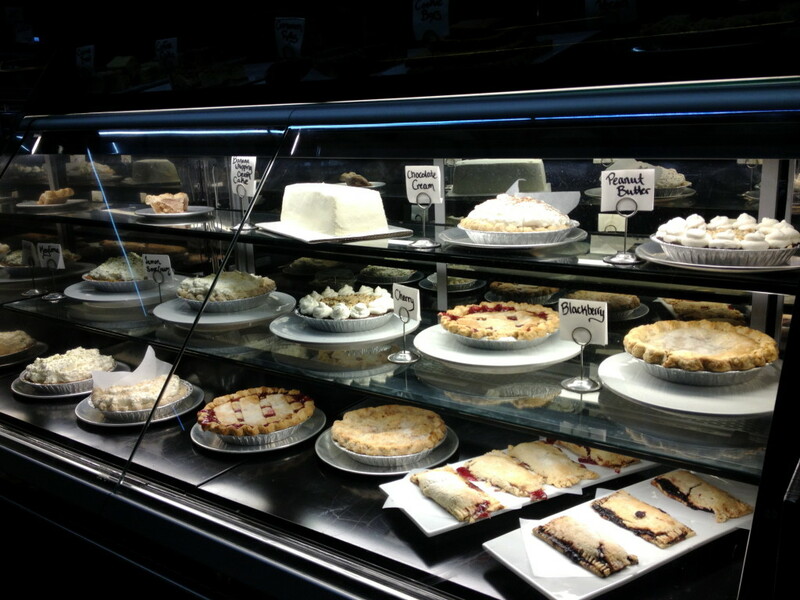 Any place that has an actual pastry case wins big points with me. We took another trip to the pie case and came back to the table with a slice of Key Lime, a slice of Peanut Butter and two cups of coffee. There is a Ristretto Roasters inside Tilt! That’s one of my favorite coffee companies in town. It’s a really nice tough to have a good coffee shop inside your store, it really encouraged me to save room for dessert. The key lime was creamy and refreshing, while the peanut butter was rich and dense. The coffee really hit the spot after such a big meal. If you like burgers, you should try this place, but that’s not the only reasons. Pech, from Peachluck’s Food Adventures wrote highly of the cocktails and Amy from Eating My Way Through Portland, says the fries and tots are great too. But I’d like to go back again to try their biscuit menu. My husband is a huge biscuits and gravy fan, I have a feeling Tilt will throw down. Open 7 days a week for breakfast, lunch & dinner, check their website for specific hours. Thanks for the shoutout/linky to my post! 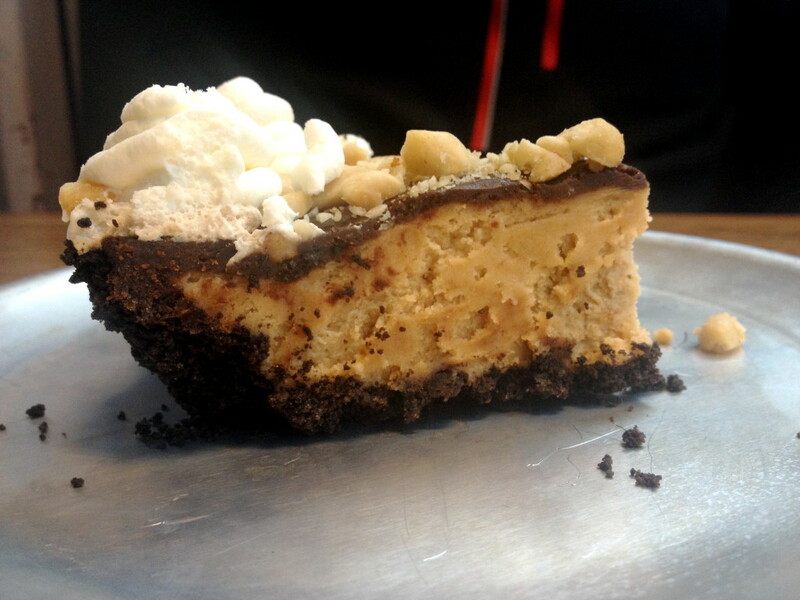 That peanut butter pie looks sooo good!